If you shopped #HunterxTarget online with me last night, I hope you found my Hunter for Target shopping tips helpful and that you were able to get all of your favorites! If you missed out on your Hunter for Target favorites, no worries, because you're in good hands. 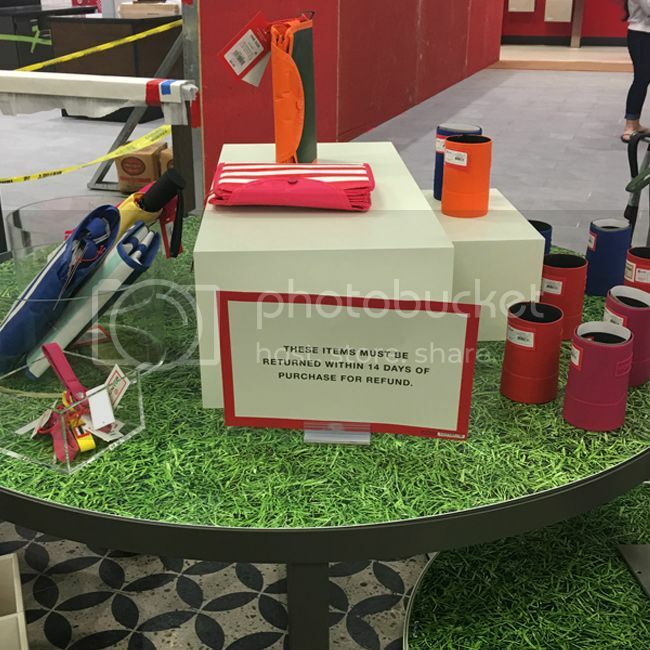 April 20, 2018 update - Target has decided to cancel the Women's tall rain boots. See their statement on the matter. As I've witnessed today on social media, many shoppers are upset with the way the launch went. Many were unable to get their must-haves due to high online demand, scarce store distribution, and other issues. A personal note: only one store in my area carried the collection, so I had to travel farther to shop. This strategy on behalf of Target created quite a crowd upon store opening this morning. I was able to shop online last night and buy my favorites, so I feel fortunate overall. Since so many people are not in the same boat, I'm sharing some tips and alternatives. The disappointment is greater knowing that the tall rain boots are Hunter's signature item. If you still have your heart set on getting some, See Hunter's sale section and Nordstrom Rack's discounted selection. Dear Target, you owe your customers more than an apology! 1. Search the go-back racks. Many of the clothing/footwear items that disappeared during the launch may have been rejected once they were tried on, so check in stores frequently in the coming days. Keep an eye in all departments, as things sometimes go back to random areas. Ask the fitting room attendant for help. The Target associates in the store I shopped were asking individual guests if we needed help, which was a nice level of service. Even if stores close to you did not carry the collection, keep a watchful eye on the racks (see #2). 2. Expect to see returns. The return policy for this collection is 14 days, and REDcard holders get an additional 30 days. It's especially smart to check for returns a few days after the launch, once online orders have been received and shoppers return their unwanted items to their local stores. A peek at the customer service desk for returns can't hurt either. 3. Check online. Naturally, there are lots of Hunter for Target items available on eBay, as long as you don't mind paying more (which I know, defeats the purpose of these collaborations). Not the best strategy, but there's no shortage of inventory on eBay right now. As of this writing, there are 3,461 items for sale, and I'm sure this number will grow quickly. 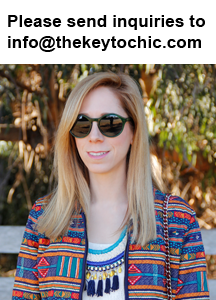 See my Twitter feed @thekeytochic for sizing and quality tips. 4. Opt for the real deal. Hunter's wellies are famous for a reason, and you'll know you're getting top quality. You can't go wrong with their Original boots, which come in an array of colors and styles to brighten any rainy day. Plus, Nordstrom Rack has discounted Hunter merchandise, with many items under $100. If you missed out on the sold-out backpack, see the selection of Hunter backpacks that Zappos has right now, with many on sale. If you missed out on the bum bag, shop this quilted belt bag pictured below by A New Day for $24.99. It comes in black and red. 5. Stay updated. 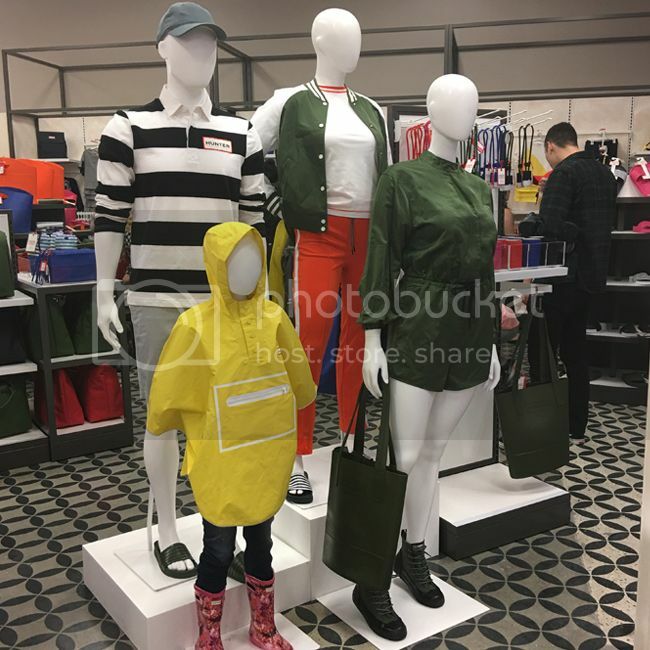 Target's last-minute announcement about the Women's tall rain boots being delayed was disappointing, to say the least. I was told in store that it was a distribution problem, although I also heard on Twitter that it was a Quality Assurance (recall) issue. Who knows? Here's Target's explanation. I'll post updates on Twitter as they become available. 6. Stay social. Use #HunterxTarget to connect with other shoppers on social media for trades, Facebook groups, and personal shopping requests. I'll be returning to Target in the coming days to see what's in stock, so feel free to reach out to me with shopping requests (I'm @thekeytochic). For more #HunterxTarget inspiration and shopping tips, catch up with me on Instagram, Twitter, or Facebook @thekeytochic.